Big data and personal data are starting to converge--with the increased use of smartphones and personal devices, people are no longer so hesitant to release personal information in order to use applications, get information about products, or participate on social media sites. 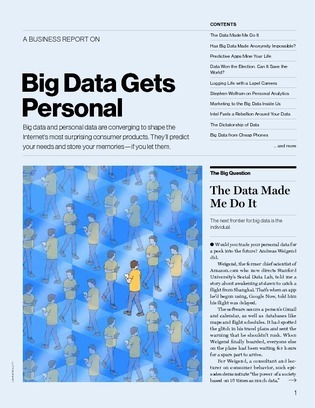 In this report from the MIT Technology Review, discover 10 must-read articles about the relationship between personal data and big data. Find out how companies are leveraging customer information and the pros and cons of releasing personal data via the Web or otherwise.